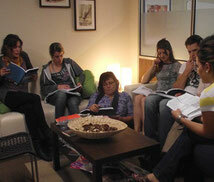 Oviedo TEFL Centre offers a refreshing approach to the training of teachers of English as a Foreign Language (EFL). After several years teaching English in Spain and many years as EFL teachers and teacher trainers in various places, we have realised how deeply we believe in our profession. To start with, we believe teaching is a profession, not just a pastime, and as such it requires formal training and a professional up-to-date approach. In this ever-changing world, learning continues to evolve and EFL has always been in the vanguard of teaching-learning trends. At Oviedo TEFL Centre we are fully aware of the demands of the present day and we are more than willing to share our expertise with those who want to help others to learn. We strongly believe that learning goes far beyond the classroom. We are looking forward to meeting you and sharing with you our passion for teaching English. 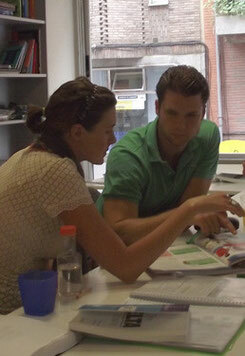 In Oviedo TEFL Centre we have developed an eclectic, up-to-date course grounded on the solid basis of experience. Our main aim is to provide you with a motivating while realistic course that shows you the secrets of the profession and gives you the tools to become a confident and qualified teacher of English as a foreign language. Oviedo TEFL centre will provide you with the necessary tools to accomplish your goal and learn all that is necessary to step into a class with the confidence you need to make it a memorable experience. Experienced and dedicated professionals, active in teaching and in close contact with other professionals in ELT, will be your trainers. We provide trainees with all the material necessary for the courses, a resource library, a bank of materials and access to new technologies. The courses delivered at Oviedo TEFL Centre incorporate all the current developments in English Language Teaching, some examples are blended learning, e-learning, task-based learning, lexis and grammar, CLIL (Content and Language Integrated Learning), CALL (Computer assisted Language Learning) or Learner Autonomy among others. In the outskirts of Oviedo, overlooking the mountains but only a 15-minute walk from the city centre are our main office and the multimedia classroom. Walking distance from train and bus stations, two minutes from train and bus stops, shops, supermarkets and restaurants, health centre; everything you may need a stone's throw away. Teaching practice and class observation may take place in our premises or in a nearby language school, where you can experience the real life teaching adventure.